A common problem with athletic training is the lack of posterior chain development. The glutes and hamstrings are two major contributing muscle groups within this chain and they play a vital role in producing force for most sports – especially events that involve jumping, sprinting or bounding. One may argue that there are major compound exercises that develop these muscle groups, such as the box squat and the deadlift. Such exercises are essential to perform, however, they are compound movements that lack specificity. To properly develop under-trained hamstrings and glutes, it is essential to specifically address their weakness through exercises that target them, yet also employ a full range of movement. Up until now the only effective way to target and develop hamstrings and glutes was utilizing Soviet training methods, such as those used by athletes Vasili Alexeyev and Valri Borshoff. Realizing that these exercise methods are highly difficult to complete, even among trained athletes, Louie Simmons from Westside Barbell developed, patented and trademarked the Westside Barbell Inverse Curl Machine™. Weighted Assistance - This allows all users regardless of athletic ability and gender to place focused effort on the hamstrings and glutes through a full range of movement. Progressive Hamstring Rehabilitation - The assistance offered by this machine allows athletes recovering from a hamstring injury to safely and progressively vary the amount of assistance needed until the injury is fully rehabilitated. Weighted Resistance - As the athlete gets stronger, the weighted assistance or angle of assistance is decreased which will increase the resistance that one must overcome to return to the upright position. Inverse leg curls are critical in placing focused effort on one of the most under-trained (and therefore most frequently injured) muscles that an athlete needs in order to perform at the peak of his abilities. 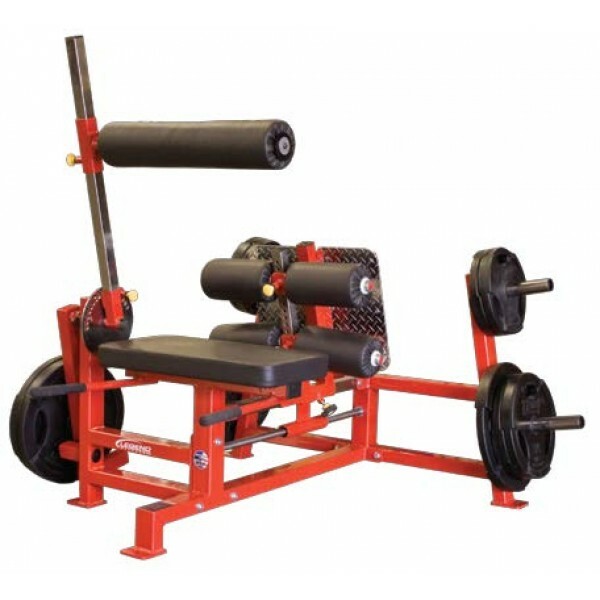 To make this difficult exercise more accessible to those new to focused hamstring training, and to provide those with sprained hamstrings the perfect tool for getting back to form as quickly as possible, the revolutionary Westside Barbell Inverse Curl Machine™ allows the user to select how much assistance they need, and where in the rep they would like that assistance to begin. How does it work? A height-adjustable chest roller supports the upper body and forces the hamstrings to be the primary source of motion. The amount of assistance offered to the user on the return to the upright position is varied by the amount of weight loaded as a counterweight and by adjusting the starting position of the support arm. In the end, this machine concentrates effort on one of the most difficult-to-train muscle groups and does it in a manner that grows with the user’s abilities, even if they are injured. Gain a competitive edge today by equipping your training facility with a machine that strengthens one of the most under-trained and most often injured muscles among athletes, and as the exclusive manufacturer for Westside Barbell, Legend Fitness is the only place you can get it. Click here to view our frame and upholstery color options!